PIANC is a forum where professionals around the world join forces to provide expert advice on cost-effective, reliable and sustainable infrastructures to facilitate the growth of waterborne transport. A Working Group (WG) 184 was formed by PIANC in early 2016 to address a key international concern that came to PIANC’s attention – the lack of guidelines for planning and designing dry bulk marine terminals. Bulk cargo terminals handle some of the largest vessels in the world. With about 4.55 billion tonnes of bulk solid cargo being transported by sea, universal guidelines for site selection, planning and design of terminals are essential for effective, efficient and environmentally sustainable development. Providing an updated planning and design reference is especially relevant in a market where extra capacity takes time to be brought on line, while traditionally the market suffers from oversupply. 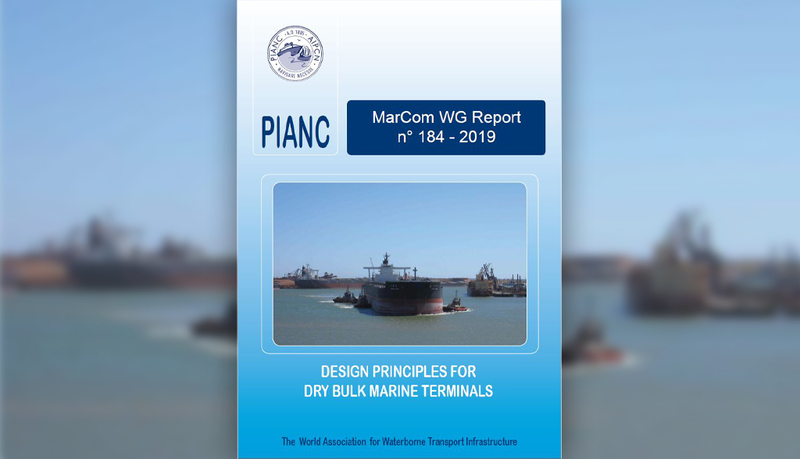 PIANC Working Group (WG) 184 has thus produced a report titled ‘Design Principles for Dry Bulk Marine Terminals’ as a modern reference to cover current technology, vessel types, and bulk handling equipment now in use. The report was released in March 2019. ASPEC was a major contributor to this document. Richard Morgan was the chairman of the group and Grace Go was a young engineer representative. Grace Go is a Structural Engineer for Aspec Engineering with 5 years’ experience and has been with ASPEC since 2015. She is a member of PIANC and was a key contributor to WG184. Richard is a Structural Engineer and Director of Aspec Engineering with extensive experience in bulk materials handling and ports. He is chairman of Australian Standards Committee ME43 for materials handling machines and chairman of PIANC WG184. He is a Chartered Professional Engineer and member of PIANC. This article provides a high level summary table of changes in the AS4324.1-2017 standard and likely implications for new and existing machines. Richard Morgan, who chairs PIANC WG184, shares progress on the new guidelines – the journey so far with the group – and some background relevant to PIANC.